Meet Jack, the CEO of William Street. Jack is like you. He knows that getting his people to be successful is critical to the long-term viability and growth of William Street. 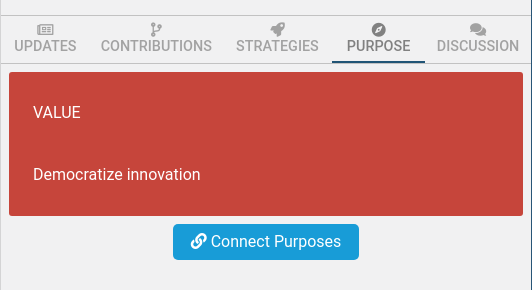 Jack realizes that misalignment is costing his company millions of dollars in wasted opportunity. He also knows it’s impacting his ability to retain talent -- people join William Street ready to change the way the world delivers products, but leave burned out after being drawn to the company’s competitors. It’s also impact his team’s ability to work effectively. He wants to know that his people are engaged and coming to work everyday ready to propel the company towards the next milestone. Before Minsilo, Jack struggled to get his entire company on the same page and focused on the right outcomes. People worked hard, but often on the wrong things. Using Minsilo, Jack is able to win the day and bring his company to success. Increase quarterly revenue by 25 percent by the end of Q2. Decrease customer churn by 10%. Enable customers to resolve common issues on their own. Mindy, the product manager, takes the lead on the last goal to “enable customers to resolve common issues on their own.” She can see how her team is actually accomplishing the task and how it relates back to the purpose. 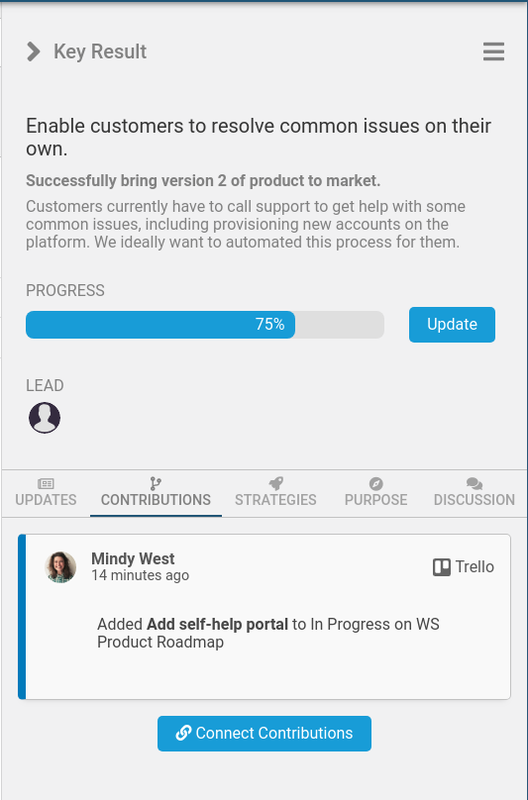 Each update to the company’s product roadmap is surfaced back to a key result, making it easy for Mindy to identify work that’s being done to accomplish that task, even if the contributor is not in her reporting line. When it comes to creating context for her people, Mindy is even able to clearly articulate the company’s purpose and how it impacts day-to-day work. Her people are regularly reminded of how their work has impact on something really important: on making customers happy and successful. Mindy’s team not only is reminded of the context they work in during the bi-weekly Sprint planning meeting, but are now focused specifically on tying their work back to the company’s goals and purpose. After starting to use Minsilo, Jack’s team has modernized its success criteria regarding work. Completing tasks without thinking about broader impact has been replaced with intentional execution. His team feels more accomplished and like they’re doing important work, every single day. And, when opportunity strikes, Jack’s people are able to take action. 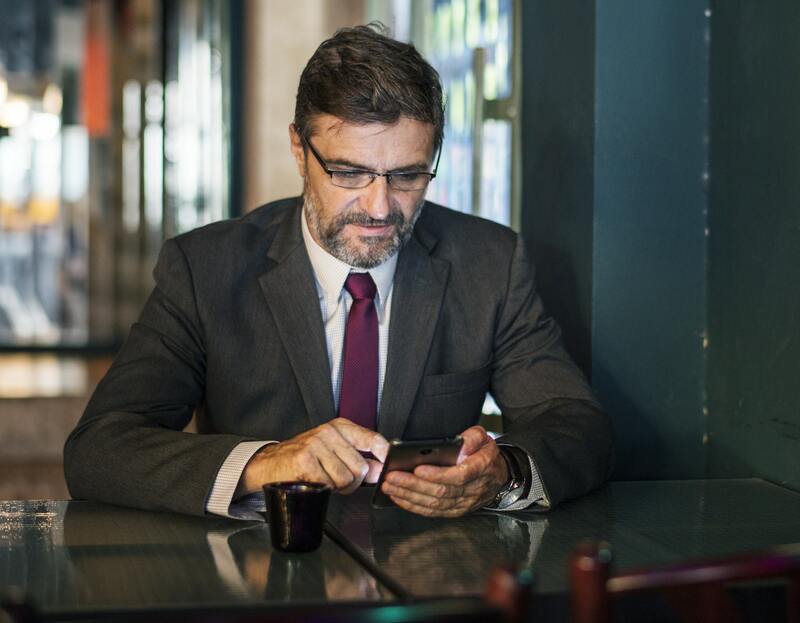 Since they deeply understand the context that they’re operating in, they’re able to quickly make the right decisions regarding the new opportunity. With Minsilo in his back pocket, Jack has even more confidence and trust in his team’s ability to awesome work that helps to make his vision a reality, every single day. He can go about his days focused on building winning strategies that help to push his company forward.